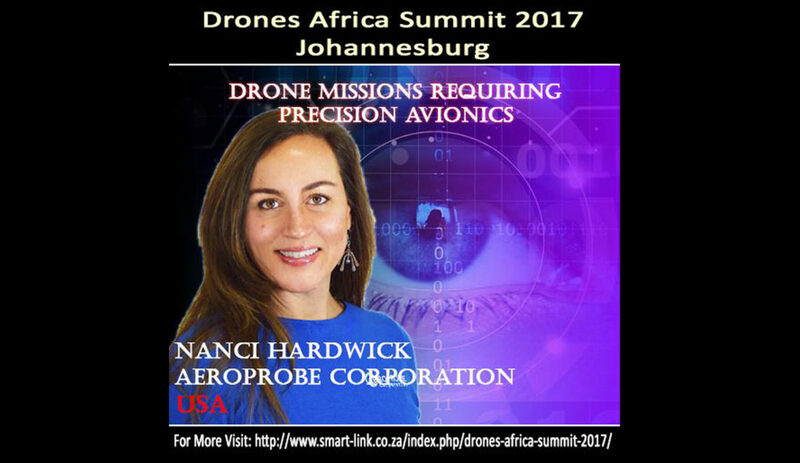 Aeroprobe CEO Nanci Hardwick will speak at the Drones Africa Summit in Johannesburg later this month. Hardwick’s presentation, Drone Missions Requiring Precision Avionics, will highlight the use of Aeroprobe products in various projects where accuracy is crucial to success. The Drones Africa summit is a gathering for members of the unmanned systems industry. The event promotes industry growth across the continent, where projects employing unmanned aerial vehicles are on the rise. Current and potential uses include common UAV missions, such as commercial deliveries and emergency services, as well as more unique projects, like supporting law enforcement in battling poaching. The summit will be held September 20-22 and feature speakers from multiple countries and organizations. Other presenters include the South African Civil Aviation Authority and Airbus Defense & Space. Learn more about the Drones Africa Summit.